מפגינים בכלא שקמה: "גם גלעד רוצה ביקור"
چرا خانواده های زندانیان فلسطینی اجازه دارند تا از انان در زندانهای اسرائیل دیدن کنند اما خانواده گیلعاد شالیت این اجازه را از مسؤلان فلسطینی ندارد که با او ملاقات کنند؟؟!!. در بیمارستان شایبا (‌تل هشومر ) در تل اویو جان دخترک عراقی را از مرگ حتمی نجات دادند !. 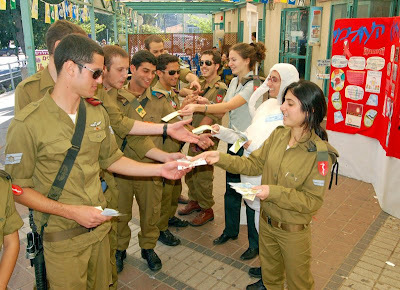 The Jewish Agency for Israel announced that it will provide financial assistance to the families of the Jewish and Israeli victims of the Mumbai terror attacks. The Fund for Victims of Terror, which has assisted victims of terror and their families since 2002, will also be extending assistance to the families of victims of this attack abroad, which targeted Jews at the Chabad Center in Mumbai. The assistance has already been provided in covering the funeral expenses of Norma Shvarzblat Rabinovich, 50, from Mexico. Rabinovich had been traveling in India and had applied at the Jewish Agency office in Mumbai to make aliyah. She was to have immigrated to Israel yesterday (Dec. 1) and was spending the week in Mumbai, sleeping at the Chabad Center, in advance of her flight. Rabinovich was to have joined her daughter Jean, 24, and her son, Manuel, 18, both of whom made aliyah and are studying in Israel. Rabinovich’s picture, below, is the one she submitted to the Jewish Agency with her application for aliyah. The Jewish Agency offices provides service to the 85% of India’s 4,500 Jews who living in the Mumbai region. Rabinovich, whose body was flown to Israel along with the other Israeli victims, was buried today (Dec. 2) in Jerusalem; her funeral expenses were covered and the family will be receiving further assistance through the Victims of Terror Fund. 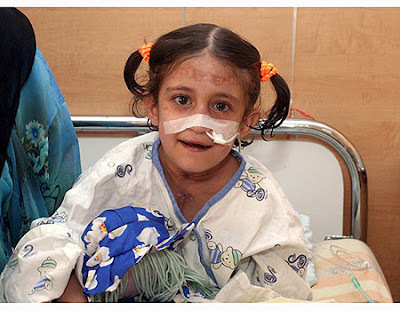 The Fund for Victims of Terror, which is underwritten by the United Jewish Communities and Keren Hayesod, responds to urgent needs of victims of terror attacks and their families from Palestinian terror attacks, the Second Lebanon War and, more recently, the Kassam rocket attacks in Sderot. Since its inception, the Fund has assisted some 3,200 families – a total of 18,000 individuals – with total support reaching $20.5 million. 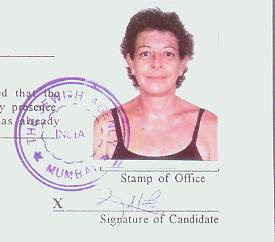 This photo was submitted by Norma Shvarzblat Rabinovich to the Jewish Agency’s office in Mumbai as part of her application to immigrate to Israel. Rabinovich, who was to have made aliyah yesterday, was killed in the attack on the Chabad Center. She was buried today (Dec. 2) in Jerusalem, with funeral costs covered by the Jewish Agency’s Victims of Terror Fund. 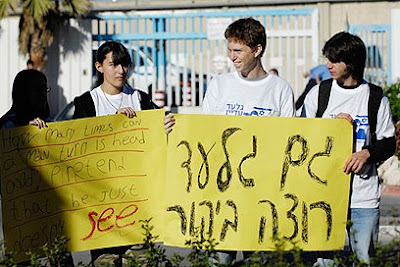 The Jewish Agency is supported by founding constituent partners: Keren Hayesod, United Jewish Communities and Jewish federations around the world; and primary funders: Keren Hayesod, United Jewish Communities and major Jewish Federations in North America, International Fellowship of Christians and Jews. An Arab citizen accused of assaulting a police officer and threatening and insulting a public figure will not be charged, and instead the officer who accused him of the offenses will have to stand trial, a Nazareth court determined Tuesday. According to the indictment filed against Taha Taha of Kfar Kana in September of 2006, he was approached by a police officer who wanted to search his car. Taha was charged with assaulting the officer, Muhammad Yusef, and threatening to kill him. Taha was arrested, and an indictment was filed against him by the State Prosecutor's Office. He then appealed to the Public Defender's Office, and Attorney Elias Abu Ata came to his aid. The attorney sent a letter to the Police Investigation Unit (PIU) in which he described the occurrences somewhat differently. According to Abu Ata his client was stopped by police in Kfar Kana, and three officers proceeded to search his person. An argument broke out, during which the officer in question retrieved a truncheon and battered Taha on his lower body, arms, and head. The attorney claimed his client had required medical treatment after the incident, which included several stitches on his head. The PIU launched an investigation following the letter's claims, and a few months ago the prosecution rescinded the indictment. On Tuesday the officer was indicted in relation to the incident. The new indictment states that "during the search and detainment the defendant wielded a truncheon with excessive force and beat the complainant on his head and the rest of his body." Abu Ata commented on the reversal of events and said that "the PIU conducted a good investigation by turning the tables and now justice will be served in a court of law." The High Court of Justice on Tuesday reminded the State of its obligations towards Palestinian prisoners, as part of their ruling on the case of a female Palestinian. The judges stated that the Palestinian prisoners were subject to poor conditions, and that they were not being rehabilitated properly by correctional facilities. The court approved an appeal made by 20-year old Nada Dirbas, who was convicted of conspiracy to commit a felony and contact with a foreign agent. Her sentence was reduced from six years to four. The indictment against Dirbas was filed one year ago. It accused her of contacting the al-Aqsa Martyrs' Brigades through another prisoner while serving prison time for a previous offense. After her release from prison she met with a member of the group, and intended to assist him with attacks. The judges who deliberated Dirbas' appeal were critical of the conditions in which she had been living, which were reported to them by a court officer, and remarked that they were "saddened and concerned". 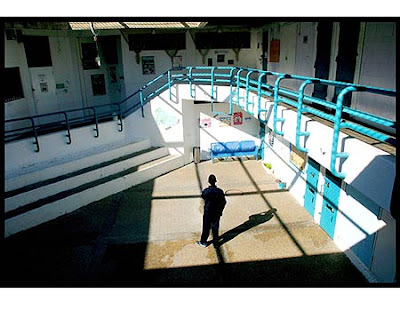 According to the judges' verdict, "Even prisoners convicted of offenses – whatever they may be – were created human, and no one has the right to forget that." The verdict also stated that more attention needed to be paid to the prisoners' rehabilitation, especially the youths among them. 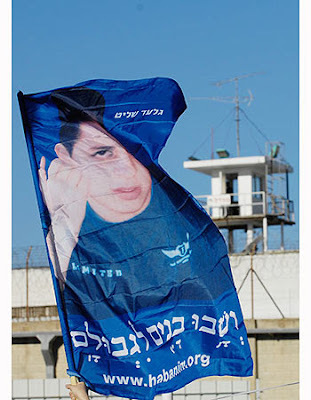 The judges wrote that they had brought the matter to the attention of the State in a number of previous verdicts, in which they had stressed that terrorists should be rehabilitated, just as Israeli citizens are. 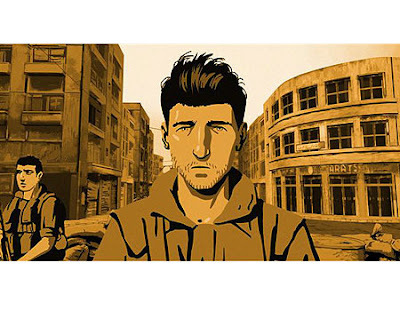 Israeli director Ari Folman's award-winning animated documentary "Waltz with Bashir" earned four nominations for the International Animated Film Society's 36th Annual Annie Awards, including in the Best Animated Feature category. The film will be competing with DreamWorks Animation's "Kung Fu Panda," Pixar Animation Studios' "WALL-E," Walt Disney Animation Studios' "Bolt," and Sherman Pictures/Lama Films' "$9.99." All of these features are short-listed by the Academy of Motion Picture Arts and Sciences for this season's animated feature Oscar competition. 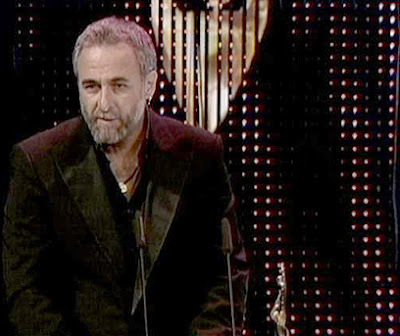 "Waltz with Bashir" was also nominated in the categories "Writing in an Animated Feature Production," "Directing in an Animated Feature Production" and "Music in an Animated Feature Production." در پنج سال گذشته، ايران و آمريکا براي بدست گرفتن قدرت در عراق يکديگر را گول زده اند. منابع اطلاعاتي آمريکا بر اين باورند که ايران از سال ۲۰۰۳ دست از برنامه هاي توليد سلاح اتمي کشيده است، اما ‏قبول کردن بي چون و چراي اين حرف به نظر کمي فراموشکارانه مي آيد. ‏ به محض اينکه نيروهاي آمريکا از عراق خارج شوند، آمريکا ديگر نه چماقي دارد و نه هويجي تا ايران را به پايان ‏دادن به برنامه هاي اتمي اش ترغيب کند. تحريم ها تا زماني که روسيه با آمريکا مخالف است، شکست مي خورند زيرا ‏روسيه همه مايحتاج ايران را در اختيارش مي گذارد. آقاي اوباما و وزيرخارجه اي که جديداً انتخاب کرده- سناتور هيلاري کلينتون، امکانات کمي براي روبرو شدن با اين ‏مشکل ندارند. نزول فاحش بهاي نفت، فشار اقتصادي جديدي بر ايران وارد کرده و راه را براي تشديد فشارها ‏باز نموده است. درحالي که متحدان آمريکا خود را متقاعد کرده اند همکاري با رئيس جمهوري که نامش جورج بوش نيست، امر ساده ‏تري خواهد بود، آقاي اوباما هنوز چند ماهي براي تشديد تحريم ها فرصت دارد. همين چند ماه براي پيروز شدن يا ‏شکست خوردن در صحنۀ هسته اي ايران کافي است. متعلق به آن است موفق نباشیم چرا که مردم همه خجالت می کشند درباره مسائل جنسی براحتی صحبت کنند در صورتی که این امر یک موضوع بهداشتی است!. درباره این مقوله که چرا در ایران این موضوعات این چنینی هنوز پیشرفت نکرده راهنمایی شما را می خواهم. در کشوری که بالاترین مقام دولتی ان ، یعنی رئیس جمهورش در مکانی مانند دانشگاه کلمبیا که در ان صدها دوربین تلویزیونی و سایر دستگاههای خبر رسانی حضور دارند و او و مشاورانش بخوبی اگاهند که بخاطر وضعیت سیاست خارجه ی « نا متعارفی » که با جهان متمدن دارند باید مواظب حرفهائی که میزنند و ادعاهایی که میکنند باشند که مبادا از ان بوی حماقت به مشام دنیا برسد ، در پشت میکروفون قرار میگیرد و در انجا با کمال وقاحت ادعا میکند که در کشورش ، ایران همجنس باز وجود ندارد !. اگر او میتواند ادعائی چنین کاذب را که همه جهانیان از حقیقت وجود ان اگاهند ( هم خاورمیانه و هم کشوری با محدودیتهای روابط ازاد بین اجناس مختلف و هم عرف داشتن روابط جنسی نامتعارف در بین مردم ! بویژه طبقه فناتیک جامعه ) بر زبان بیاورد دیگر تکلیف هر انچه نیز که مربوط به این موضوعات میشود نیز معلوم است که باید همه انانرا در زیر قالیهای تظاهر و انکار که بیشک عواقب ناخوشایندی را نیز در پی خواهد داشت پنهان گرد . بخاطر انکه انان از این وحشت دارند که صحبت در باره اینچنین موضوعاتی باعث امدن خیال بد در مورد حکومت اسلامی سرا پا فساد انان و اصولأ دین اسلام در افکار جهانیان گردد ، انوقت شما چگونه میخواهید که عوامل حکومتی بیایند و بنشینند و بمردم درس مبارزه با اهریمنی بنام ایدز بدهند ؟!!. اما همانطور که اشاره کرده اید در کشورهای دیگر جهان از اینگونه خبرها نیست !. به تصویر زیر نگاه کنید ، میبینید که کشورهای مترقی مانند اسرائیل حتی سربازانشان را هم برای مبارزه با این درد بی درمان به اماده باش در میاورند ، در زمانیکه حکومت اسلامی ایران یا سربازانش را بجان مردم بیچاره میاندازد تا در کوچه و خیابان انان را کتک بزنند و تحقیر کنند و یا انانرا برای ایجاد و فتنه و اشوب در منطقه بویژه با اسرائیل در لبنان و عراق و سوریه و فلسطین بکار میگیرد !. نمونه ان در اخرین « رزمایش حزب الله متعلق به نصرالله » در لبنان بود که مدتی قبل با حضور چشمگیر مقامات نظامی جمهوری اسلامی در همه مراحل و مراسم رژه های انان انجام گرفت !!. برسم همه ساله دوشنبه اول دسامبر امسال نیز ارتش دفاعی اسرائیل برای شرکت در مبارزه با بیماری ایدز به افراد خود اماده باش داد. در چهارچوب روز بین المللی اگاهی رسانی در مورد این بیماری ، در پایگاههای نظامی مراکزی برپا گردیدند که در ان به سربازان اموزشهای لازم برای شناخت بیشتر این بیماری و راههای مبارزه با ان یاد داده شد. ببخشید که از موضوع خارج شدم ، ادم از دست اعمال ضد ایرانی ایندسته که خود را نمایندگان خدا بر روی کره خاکی هم میدانند ، براحتی جوش میاورد و از اسفالت میزنند به خاکی !. من از شما میخواهم که اول خوتان با خواندن رساله ها و کتابهای مربوط به مبارزه با بیماریهای مقاربتی اگاهیهای لازم را در باره انان بدست بیاورید و به دیگران نیز بیاموزید و دوم انکه اگر اولیا و بزرگترهایتان بعلت جو فرهنگی که در ایران وجود دارد نمیخواهند و یا نمیتوانند که از این اطلاعات بهره مند شوند انان را با مطالب کتابها بصورت گفتگوهای خودمانی اشنا گنید و سعی کنید که با فراهم اوردن جوی محبت امیز و محترمانه در خانه راه را برای اموزش خود و خواهر و برادرهای کوچکترتان که امیدوارانه توسط اولیائتان انجام خواهند گرفت باز نمائيد . اما توصیه من به شما عزیزان انست ، هر چه که در خانه بهتر و یا لازم است که صورت پذیرد ولی با روشی که اداره خانه توسط بزرگترها انجام میپذیرد نامانوس است ، باید با توجه و احترام به فرمان پنجم توراة که میگوید * احترام پدر و مادرت را نگهدار * انجام گیرد و لاغیر تا از بروز برخوردهای نامناسب بین افراد خانواده جلوگیری بعمل اورده شود !. در حالی‌که اولین مورد ابتلا به ویروس ایدز در ایران در سال ۱۳۶۵ گزارش شده، طبق آخرین آمار رسمی منتشره، ۱۸ هزار و ۳۲۰ نفر در ایران به این بیماری مبتلا هستند. 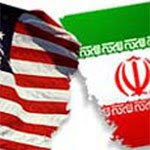 هر چند که کارشناسان، آمار واقعی مبتلایان را بسیار بیش از این تعداد می‌دانند. قوه قضائیه پیش از تصویب لایحه جرایم رایانه‌ای از سوی مجلس، از راه‌اندازی دادسراهای ویژه جرایم رایانه‌ای و اینترنتی خبر داد. به گزارش امروز (دوشنبه) خبرگزاری‌ فارس، محمود سالارکیا معاون دادستان تهران گفته که این دادسراها به علت گسترش «جرایم رایانه‌ای در کشور» راه‌اندازی می‌شود. این مقام قضائی همچنین افزوده که قضات آشنا به رایانه و جرایم رایانه‌ای در این دادسراها مستقر خواهند شد. در حال حاضر در ایران قانونی مبنی بر تعیین مصادیق جرایم رایانه‌ای وجود ندارد. با این حال برخی وبلاگ‌نویسان طی سال‌های اخیر به خاطر مطالبی که در وبلاگ‌های خود منتشر کرده‌اند، دستگیر شده‌اند. لایحه جرایم رایانه‌ای که هم‌اکنون در مجلس شورای اسلامی در دست بررسی است، شامل پنج بخش است. بخش نخست این لایحه، با عنوان کلیات به تعریف اصطلاحات پرداخته و بخش دوم با هشت فصل به جرائم علیه محرمانه بودن داده‌ها و سیستم‌‌های رایانه‌ای و مخابراتی، جرائم علیه صحت و تمامیت داده‌ها و سیستم‌های رایانه‌ای و مخابراتی، کلاهبرداری، جرایم مرتبط با محتوا، افشای سر، مسئولیت کیفری ارائه دهندگان خدمات، تخفیف و تشدید مجازات و سایر مسائل پرداخته است. در این لایحه همچنین مجازات‌های مختلفی برای جرایمی مثل دسترسی بدون مجوز به سیستم‌های رایانه‌ای یا مخابراتی، شنود امواج الکترومغناطیسی بدون مجوز، دسترسی بدون مجوز به داده‌های رایانه‌ای سرّی و افشای آن‌ها، تقلب در داده‌های رایانه‌ای، صدمه زدن عمدی به داده‌های رایانه‌ای دیگران یا ایجاد اختلال در سیستم رایانه‌ای دیگران در نظر گرفته شده است. بر اساس ماده هشت این لایحه (در صورت تصویب) هر کس از سیستم‌های رایانه‌ای یا مخابراتی با ارتکاب اعمالی نظیر تغییر، محو، ایجاد، توقف داده‌ها یا اختلال در عملکرد سیستم، سوء استفاده و از این طریق وجه یا مال یا خدمات مالی برای خود یا دیگری تحصیل کند کلاهبرداری محسوب می‌شود و محکوم خواهد شد. در لایحه جرایم رایانه‌ای همچنین بر اساس قانون مجازات اسلامی، مجازات‌های مختلفی برای کسانی که به کمک سیستم‌های رایانه‌ای یا مخابراتی، محتویات مستهجن تولید یا منتشر کنند، پیش‌بینی شده است. مهم نیست که نام او چیست میتواند * ایران * باشد ، میتواند هم اسمی دیگر داشته باشد . ولی مهم این درد نامه ئیست که او از دردی نوشته که اکنون سی سال است از ضربات لگدهای بچه حرامزاده ئی که در شکمش گذارده اند جان به لبش رسیده !. نه انرا میزاید تا در دم با بند نافش * خفه اش * کند و نه بر سر زا میرود تا از این جهنم توسری و تحقیر و ذلت و بی ابروئی * رهائی * یابد !. مهم ان نیست که چه نام دارد ، میتواند هر چیزی باشد ، ولی اجازه بدهید تا او را * ایران * صدا کنیم!. برایم اگر به خانه ی من آمدی، یک مداد سیاه بیاور. میخواهم روی چهره ام خط بكشم تا به جرم زیبایی در قفس نیفتم، یك ضربدر هم روی قلبم بكشم تا به هوس هم نیفتم. یك مداد پاك كن بده برای محو لبها.....نمی خواهم كسی به هوای سرخیشان ، سیاهم كند! یك بیلچه، تا تمام غرایز زنانه را از ریشه در آورم....شخم بزنم وجودم را ...بدون اینها راحت تر به بهشت می روم گویا! یك تیغ بده؛ موهایم را از ته بتراشم.... سرم هوایی بخورد... و بی واسطه روسری كمی بیاندیشم ! نخ و سوزن هم بده ، برای زبانم می خواهم ... بدوزمش به سق....اینگونه فریادم بی صداتر است! 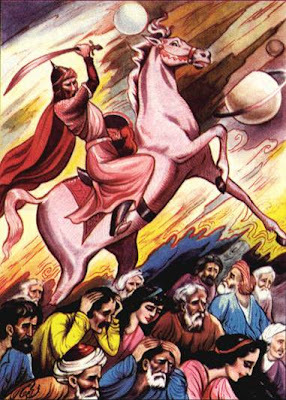 قیچی یادت نرود......می خواهم هر روز اندیشه هایم را سانسور كنم ! پودر رختشویی هم لازم دارم.....برای شستشوی مغزی....مغزم را كه شستم ، پهن كنم روی بند... تا آرمانهایم را باد با خود ببرد به آنجایی كه عرب نی انداخت... می دانی كه؟ باید واقع بین بود ! 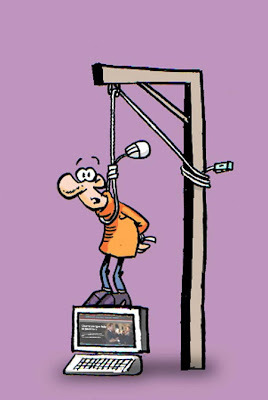 صدا خفه كن هم اگر گیر آوردی بگیر......می خواهم وقتی به جرم عشق و انتخاب ، برچسب فاحشه می زنندم.... بغضم را در گلو خفه كنم! یك كپی از هویتم را هم می خواهم.... برای وقتی كه خواهران و برادران دینی به قصد ارشاد، فحش و تحقیر تقدیمم می كنند ! تو را به خدا....اگر جایی دیدی "حقی" می فروختند .....برایم بخر....تا در غذا بریزم..... ترجیح می دهم خودم قبل از دیگران حقم را بخورم ! "من یك انسانم "..." من هنوز یك انسانم" ...." من هر روز یك انسانم"
קרוביו של החייל החטוף גלעד שליט מבקשים לא להסיר את עניינו מסדר היום הציבורי, למרות הבחירות המתקרבות. הבוקר (יום ד') הפגינו כמה עשרות בני אדם מול כלא שקמה באשקלון, שם כלואים כ-120 אסירים של מתנועת החמאס. המפגינים מחו על כך שהאסירים הפלסטינים זוכים לביקורים סדירים ואילו שליט נשאר מבודד. הם הגיעו לכלא שקמה ב-07:30, השעה בה האמהות של אסירי החמאס נוהגות להגיע לביקורן השבועי. המפגינים נשאו שלטים עליהם נכתב: "למה הם כן וגלעד לא?" ו"הצלב האדום - כבר נפגשתם עם גלעד?" המפגינים לא הורשו להתקרב לשערי הכלא, אך הם השתמשו במגברים על מנת שגם האסירים הכלואים יוכלו לשמוע אותם. יורה סוקולובסקי, תלמיד כיתה ט' בתיכון מקיף א' באשקלון, היה בין המפגינים. "הגענו לפה הבוקר אני והחברים שלי כי אנחנו חושבים שהתנאים של גלעד שליט הם לא הוגנים, במיוחד אל מול התנאים של האסירים פה בכלא ממול", הסביר, "אנחנו כמובן דורשים לשחרר את גלעד שליט, אבל עד שזה ייקרה לפחות בינתיים שיתנו לו תנאים שנוכל לקבל איזשהו מידע באשר לגורלו". בין המפגינים היה גם זאב ז'בוטינסקי, נכדו של מנהיג התנועה הרוויזיוניסטית. "אולמרט היה יכול בשלהי כהונתו לעשות את המהלכים האלה ולהפעיל לחץ על החמאס, לצערי הרב הוא לא עשה את זה כי אם היו נמנעים הביקורים, האמהות של האסירים הללו היו לוחצות על ההנהגה של החמאס והם היו פועלים אחרת", אמר ז'בוטינסקי. יואל מרשק, מרכז אגף המשימות של התנועה הקיבוצית ובין מארגני ההפגנה, הוסיף, "אתמול היתה לנו פגישה עם אנשי הצלב האדום ובה מחינו על כך שהם אינם מתערבים ולא מאפשרים ביקורים אצל גלעד שליט". הוא הדגיש, כי בצלב האדום "הודו בפנינו שאכן החמאס לא בסדר. היום אמור לצאת ראש המשלחת של הצלב האדום לעזה ואנו מקווים שהוא ינסה לקדם את הנושא הזה שם. האמהות של האסירים האלה שכלואים באשקלון מגיעות לכאן היום ומבקרות את ילדיהן ואנו מבקשים שגם אמו של גלעד שליט תוכל להגיע ולבקר אותו. לאסירים הללו יש טלפון ומעבירים להם כספים לקנות בקנטינה, וכמובן יש להם ביקורים, מה שאין לגלעד שליט". כשצופים באללה חסיין בת השמונה יושבת במיטה במחלקת טיפול נמרץ, מדביקה מדבקות ומשחקת בבקבוקוני לק שקיבלה מהאחיות, קשה להאמין שזו אותה ילדה שלפני חודש וחצי התנדנדה בין חיים למוות ועברה החייאות לאחר שהפסיקה לנשום. אללה, שפרושו בכורדית סמל, עשתה דרך ארוכה לבית החולים ספרא בתל-השומר. היא הגיעה מצפון עיראק, על גבול תורכיה, דרך עמאן שבירדן לישראל. אללה סבלה מכמה מומים בלבה, כאלו שכאשר הם מאובחנים בעובר ישראלי - גוררים בדרך כלל הפסקת הריון. במקרים שבהם המום לא מאובחן, התינוק מנותח כבר בחודש הראשון לחייו. "היא הגיעה למצב שבו אנחנו אומרים שהיא מיצתה את תוחלת החיים שלה. תינוקות שסובלים ממום כזה בדרך כלל מתים בשנת החיים הראשונה. אם הם שורדים הם חיים לכל היותר שבע או שמונה שנים", אומר ד"ר דודי משאלי, מנהל היחידה לניתוחי לב מומים מולדים בשיבא, "המומים בלבה של אללה גרמו לכך שאספקת הדם לריאותיה נעשית דרך עורק קטן, כך שכמעט לא תפקדו, ושאחוז החמצן בדמה נמוך מאד". "בבתי חולים אחרים בעולם כנראה חשבו שהריאות שלה כבר במצב כזה שלא ניתן להציל אותן. אני אמרתי שאין לנו מה להפסיד. היא לא היתה שורדת את החודש או אפילו את השבועיים אחרי שהגיעה לבית החולים בלי ניתוח", מוסיף משאלי. "אמרו לי - הבת שלך לא תשרוד יותר מגיל שנה"
אמה של אללה, טודי, מתקשה עדיין להסיר את המבט המודאג כשהיא מדברת על בתה הקטנה. "כשהיא נולדה ראו מיד שמשהו לא בסדר. 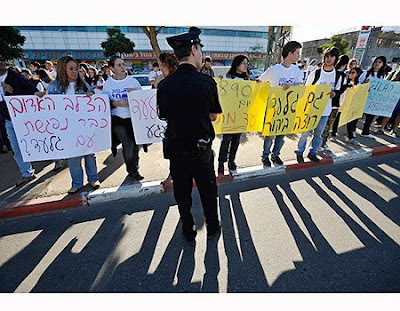 השפתיים והציפורניים שלה היו כחולות, היא לא ינקה כרגיל. בבית החולים הרופאים אמרו שיש לה הרבה בעיות בלב ושהיא לא תשרוד מעבר לגיל שנה". בני המשפחה נדדו בין בתי חולים בעיראק ושלחו את המסמכים הרפואיים של אללה לסוריה, לגרמניה ולאיטליה, אולם בשל בעיות של אזרחות ושל מימון הניתוחים והאשפוז הם נאלצו לוותר. את שנות ילדותה העבירה אללה בבית, במיטה. "הייתי מטפלת בה כמו בתינוקת, לוקחת אותה על הידיים לכל מקום. היא לא יכלה ללכת לבית הספר או לשחק בחוץ, רוב הזמן היתה במיטה. הייתי מפחדת לקלח אותה, כי אחר-כך היתה מתעייפת", סיפרה אמה. בעיראק אין כיום כירורג לב מומחה לטיפול בילדים. הטיפול היחיד שבוצע בה בעיראק היה הקזת דם, כדי להתגבר על ייצור מוגבר של כדוריות דם בגופה. "הרופאים כאן נותנים יחס שווה לכולם"
"באחת הפעמים כשהגענו לבית החולים הציעו לי לרשום אותה לטיפול בישראל. לא הסכמתי כי כבר לא היתה לי אמונה באף אחד וסבלנו אכזבות רבות, אבל הדוד של אללה התעקש", מספרת אמה. לדבריה לא חששה מההגעה למדינה שנחשבת למדינת אויב. "כשהגעתי לפה רק פחדתי על אללה כי אמרו שהניתוח מסובך והיא עלולה למות. לא ידעתי כלום על האנשים פה ועל ישראל. ההפתעה הגדולה מבחינתי היא לראות את הרופאים משחקים ונותנים יחס חם לכל הילדים בלי הבדל. זה מאד משמח ומרגש אותי". אללה הגיעה לבית החולים בסוף אוגוסט ונותחה תוך פחות משבועיים. בניתוח נעשה מעקף של העורק שמוביל לריאות, אבל הוא השיג תוצאה טובה מהמצופה: יותר מדי דם הגיע לריאות ולאללה נגרמו תופעות של אי ספיקת לב, שכללו עומס על הריאות והלב והצטברות נוזלים. לאחר הניתוח אללה אושפזה למשך חודשיים וחצי בטיפול נמרץ ילדים כשהיא מונשמת. הכליות, הכבד, מערכת העיכול ומערכת העצבים המרכזית שלה נמצאו בקריסה. ד"ר אמיר ורדי, רופא בכיר בטיפול נמרץ ילדים מתאר: "היא נראתה נורא. רזה כמו שלד ובלי טיפה של שומן תת עורי, בנוסף, העור שלה דימם והתקלף". כמה פעמים היא הפסיקה לנשום והיה צורך לבצע בה פעולות החייאה "היא סיימה כל כך חולה את הניתוח הזה שכמעט מתה. ביקשנו מהמנתח יעשה משהו אחרת היא תמות. זו היתה ממש שאלה של זמן". הניתוח השני שבו הוצר מעט העורק לריאות הוביל לשיפור במצבה. "תוך שעה כבר ראינו תוצאות", מתאר ד"ר ורדי. כעבור מספר ימים הצליחו לגמול אותה ממכשיר ההנשמה ולתת לה אוכל מוצק. "זה ממש כמו פרח שהתייבש ואת משקה אותו. מדהים לראות אותה כל בוקר מחייכת ומתקשרת עם הרופאים". גם ד"ר משאלי מתרגש מתוצאות הניתוח. לדבריו "היו שם תופעות לא לגמרי ברורות שעד היום אנחנו לא יודעים להסביר. לפעמים הכוחות הנפשיים והכוחות שהחולים מגייסים לעצמם יותר חזקים מכל הדברים שאנחנו יודעים". הילדה, שעד לא מזמן אכלה ונשמה בסיוע מכשירים, נהנית כעת לצפות בקלטות של "יובל המבולבל", למרות שאינה מבינה מילה. היא אוהבת לאכול צ'יפס, פירות ובעיקר רימונים וסוכריות בטעם לימון. היא צוחקת הרבה ומבקשת כל הזמן מאמא שלה שתוציא אותה החוצה לנשום קצת אוויר. "היא ילדה חכמה, ששואלת שאלות על כל דבר ומדברת כמו מבוגרת", מספרת אמה. בשיבא מטפלים בילדים פלשתינים רבים ולא מזמן טיפלו גם בילד איראני. לדברי ד"ר ורדי, "החווייה היא בעיקר מעצם המפגש עם תרבות ושפה אחרת. כיוון שהמשפחה דוברת כורדית, קשה לקיים אתם תקשורת ישירה. לפעמים אני מרגיש שאולי אנחנו בונים פה איזה גשר לשלום ואולי כשאללה תגדל היא והחברים שלה יחלו באיזה תהליך". אללה היא הילדה השלישית ממוצא עיראקי שמנותחת בשיבא. עם זאת, עמותת שבט אחים, העמותה שהביאה את אללה לישראל, סייעה בשנים האחרונות לעוד כ-80 ילדים מעיראק. רובם נותחו בבית החולים וולפסון ואחרים נותחו ברמב"ם או בשניידר. מנהל בית החולים פרופ' זאב רוטשטיין הודיע שבית החולים יממן את אשפוזה של אללה במחלקת השיקום למשך חודש.